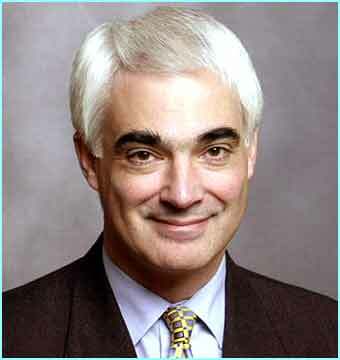 Of all the headline grabbing accusations that Alistair Darling is making about his time in office in his new book, the one that must really stick in the craw of Brown is where Darling says that he devised the Bank bail out and not Brown. Brown's sole achievement in office (OK, we can add not joining the Euro) taken away. His Nokia (iphone these dates no doubt..) must be in A&E by now. At least we have it confirmed that all the views espoused by this blog were indeed correct; shame really given it has led to the mess we are in. We did not join the Euro because Blair wanted too, not because of anything Brown did, said or even thought. The very same simple thing that sums up the man, through and through, Malice. As for the bank bailouts, well that worked out well did it not? now we have to endure even more pain as the necessary cull comes into view. Gravity .....its a bit of a bugger really. WHAT Gordon Brown did not save the world, but just bragged about it, it also seems that the Nokia throwning has been confirmed. The politicians still do not really get it, they can not understand that when a collective group want something, such as less regulation, it is purely self interest, that they do it hence the birth of casino banking, when Nick Leeson bought down Barings I thought that therewould be others, they got involved in dealings which even the senior bankers did not understand but just saw these massive profits coming in. Gordon Brown saw PFIs as a wonderful opportunity to spend without the apparent spending appearing on the countries balance sheet or direct spending (of course he did not invent that Mrs Thatcher did that only G.Brown took it to extreems) it might be a good idea for PFIs to appear on the balance sheet as a liability. I hate to admit it, but I kinda like Darling and can't understand for the life of me why he didn't go for the labour leadership. He's the only likeable one they've got. SL, kind of agree, he had the misfortune to be Chancellor after Brown, as is Osborne still dealing with the mess. I also thought Darling the best. Admittedly of a very rotten bunch, but still. He did speak out. Unlike the semi-secret plotters, Miliband or Straw. All the others were too frightened, too self interested, to act at all. Remember how Harman left the 'sisters' of Flint & Blears out to dry when Brown's flying courts went into action. She must have been promised the safe MPship for husband Dromey on that all women short-list for that piece of treachery. Or was it for staying out of the Hoon plot? Rawnsley reckoned she was behind it. And he still wants to load up on debt, and no doubt will be blaming other people for his profligate spending until he's dead. Short of complete collapse, which the govt will not allow, the only way is up. That reminds a single by Yazz rather more than any likelihood being right. Darling was right - well, righter than the rest of Labour. Just as important he had the courage to speak out with the truth. And he did all that without the need to blame others all the time. Jackboot Blunkett is re-inventing himself as a liberal. Blair is just Bliar. Presumably Brown will become Heath without the talent. I enjoy seeing Brown exposed as much as the next reader. But note it's a matter of record that Brown was presented with the rescue plan at around 5am on the day it was launched. It was deliberately done like this to ensure a "fait accompli", vital after the PM dithered for months over the fate of near-irrelevant Northern Rock. And it wasn't even Darling who created the plan, it was the product of the Treasury, but above all financial advice from UBS and Standard Chartered. Darling just okayed it. "Darling just okayed it" - just like he okayed a huge payment to the EU despite no longer being in office. This false sympathy for this man is totally misplaced.